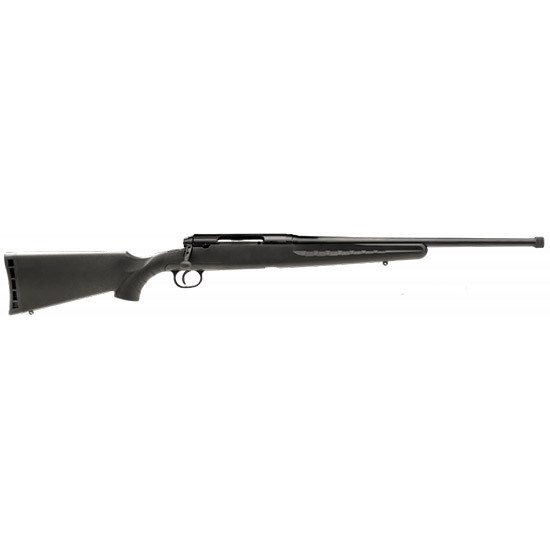 Savage 19746 Axis SR Bolt 223 Remington 20 TB 4+1 Synthetic Black Stk Blued in. Axis rifles save money without sacrificing performance. Savage didnt design a cheaper rifle they designed a better way to make a Savage including pillarbedded barrels with more uniform cooling and greater consistency. The Savage Axis has been rated bestinclass entry level rifle. It has a modern design with silkysmooth bolt operation a detachable box magazine and matte black synthetic stock. It is drilled and tapped for scope mounts. This SR model has a 20 matte blued carbon steel barrel with a medium contour and is threaded to be suppressor ready."